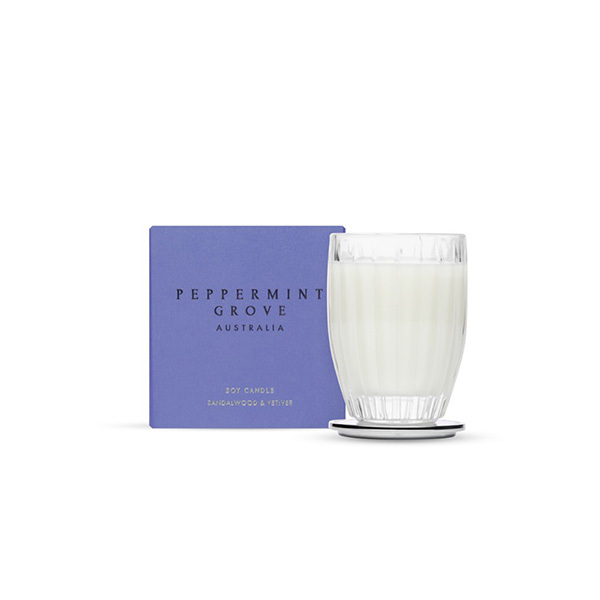 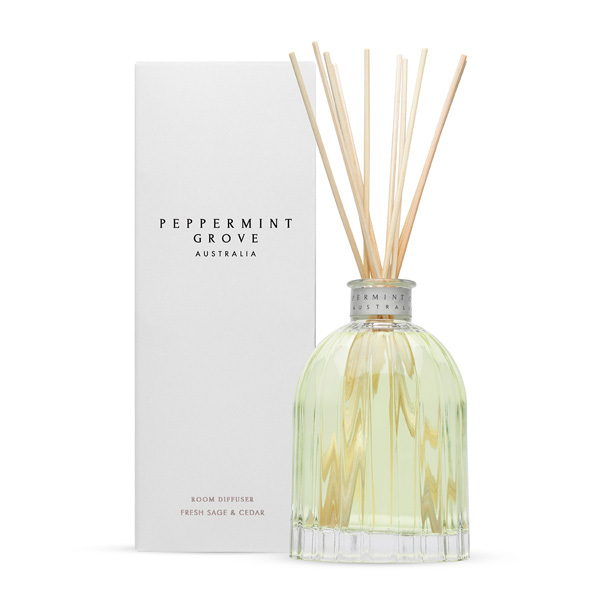 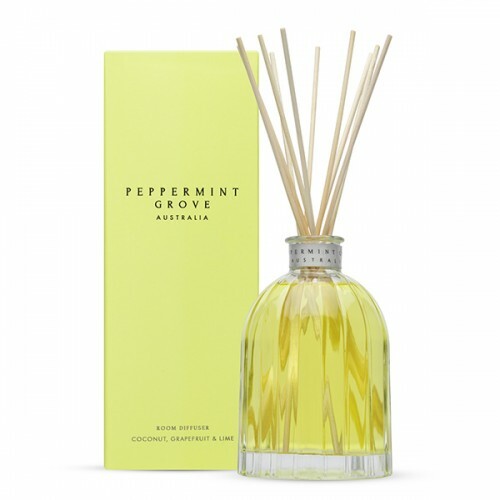 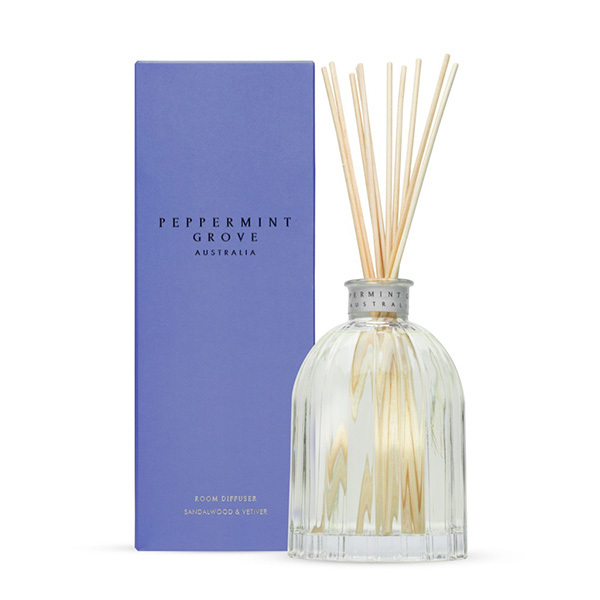 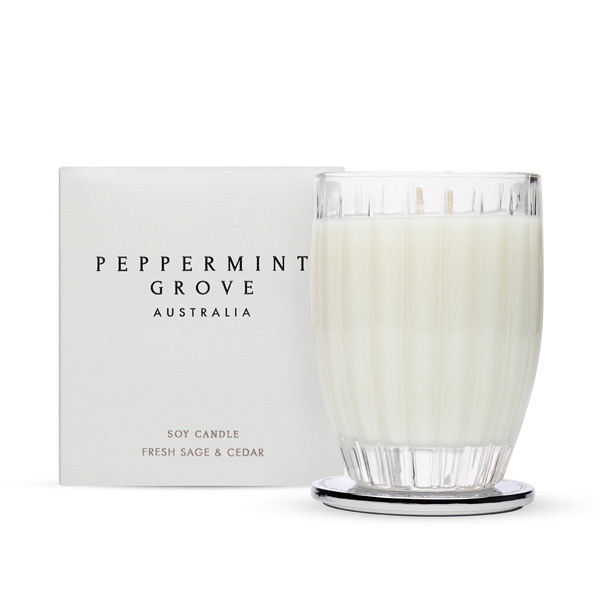 Peppermint Grove produces an outstanding range of products that take familiar fragrances to a whole new level. 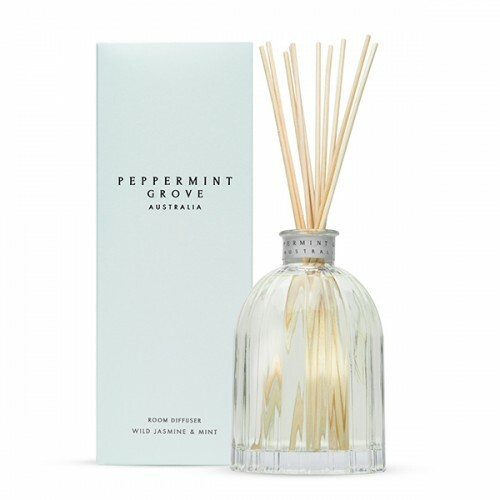 Their candles and reed diffusers are designed not just to fragrance your home, but bring a delightful sophistication and luxury to evoke and enhance the ambiance. 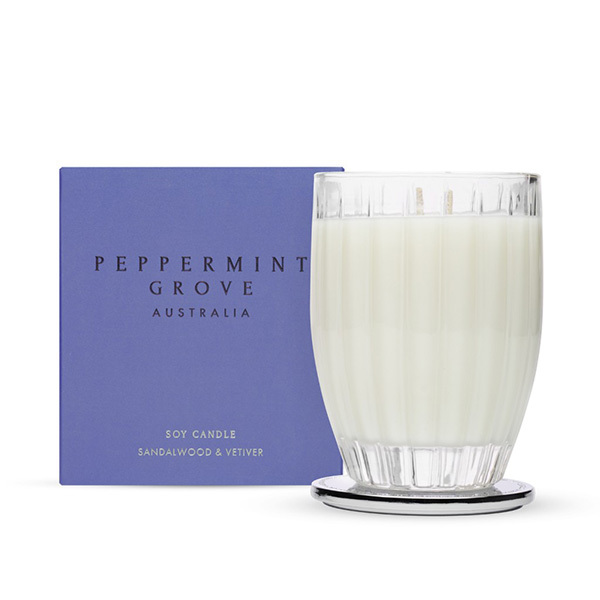 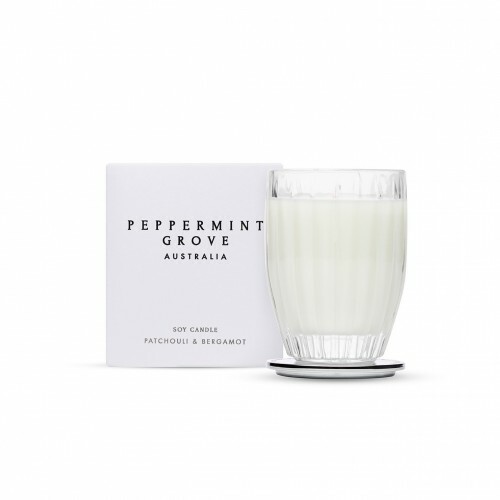 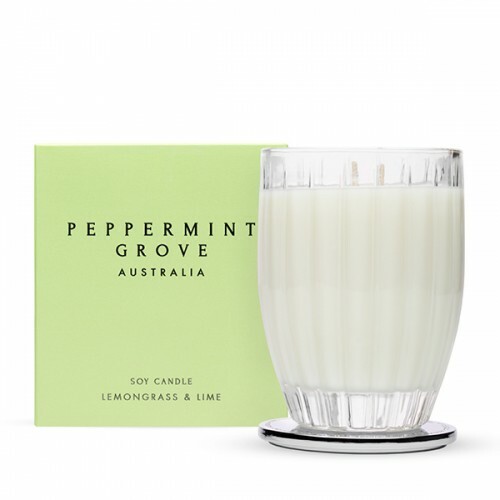 Each candle and diffuser come in a beautiful beveled glass, which is unique to Peppermint Grove, and each comes with a polished silver lid which acts as a coaster to protect surfaces. 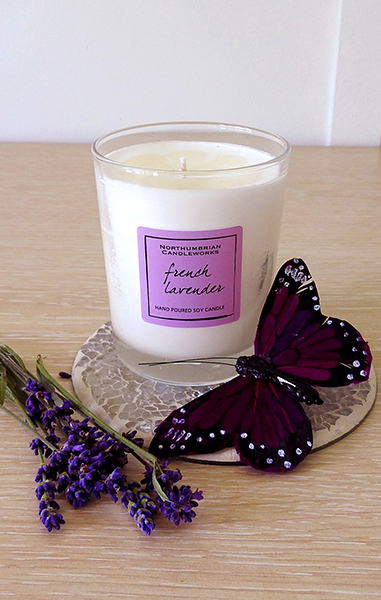 Once lit, the candle flame shines through the bevels, and reflects on the silver lid, giving a beautiful light. 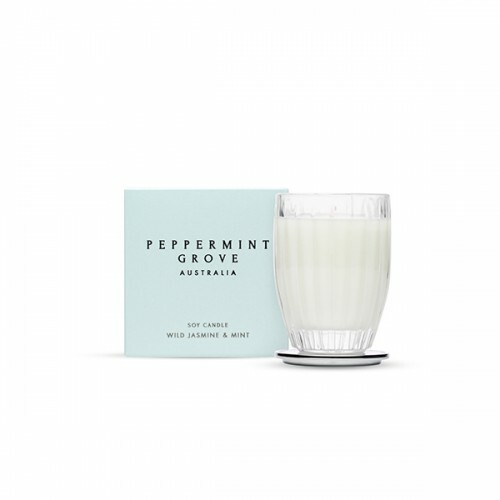 As with all our suppliers, Peppermint Grove use soy wax and lead-free cotton wicks, do not test any products on animals, and are committed to using only the highest quality natural ingredients, and ensuring that all components are responsibly and sustainably sourced.